NOT WHAT THE DOCTOR ORDERED Many parents looking to use cannabis to help their children are on their own. The legal landscape around pediatric cannabis can put parents at risk. The young boy was borderline autistic and suffered from anxiety and a learning disability when he went to see Dr. Jeffrey Hergenrather. "He was like a raccoon in his office on that first visit," says his mother, "Paula," who requested anonymity for this story, as she described her son bouncing off the medical-office walls like a wild animal. "Literally—like we brought a raccoon," she repeats with a slight laugh. That was about four years ago. Hergenrather, a Sebastopol-based physician, has recommended cannabis to children who have come through his practice since the state's 1996 medical cannabis law was enacted. He recommends its use for medical conditions ranging from autism to epilepsy to cancer to genetic disorders and mental disabilities. For autistic children and teenagers, cannabis "works so well for reducing anxiety, reducing pain and reducing agitation and anger," Hergenrather says, especially as autistic children become adults. "The calming effect of cannabinoids has been a real plus for families." After her consultation with Hergenrather, Paula found a woman in Southern California who had developed an edible product, a brownie, especially for autistic kids. "That was our first introduction," she says, "and we started him on it two days before school started. He was just out of summer school and that had been a hot mess—he was miserable, they couldn't get him to do anything. That was two days before. Then he went to school without any protest, and he did every single task they put in front of him," Paula says, with another slight laugh. The parents and teachers and occupational therapists were shocked at the sudden change. "What the heck happened, what did you do?" Paula recalls them asking her, "and they were looking for me to say that we had put him on meds." But Paula played off the inquiries, given the sensitivity and stigma around pediatric cannabis. "I guess we are having a good week," she told them. "I played dumb. No one put a finger on what happened, but it was a big success." Paula's story is one of thousands involving pediatric cannabis in the state, in a gray-area legal world where the conditions being treated may not be as serious as childhood cancer, but are nonetheless devastating or debilitating to families. The 1996 California law didn't come with any age limits on who can or can't access medical cannabis, but physicians are boxed in by an overarching federal scheduling of the drug that says marijuana has no medical benefits whatsoever, and the absence of a state law that would legalize cannabis outright. Even as pediatric cannabis protocols and attitudes are in flux, parents in Paula's situation are pretty much on their own, she says, and with the risk of a call to child protective services (CPS) if they are not careful with the cannabis they provide their children. "Because it's not fully legal here," says Paula, "[Hergenrather] can't tell us what strain, what dosage, where to get it—it's on the parents to figure it out." She credits the work Hergenrather's done on behalf of children in California , as she points out the twisted ironies of cannabis law and morality. "He treats so many kids that are so successful, but their parents are afraid to tell their doctors why." 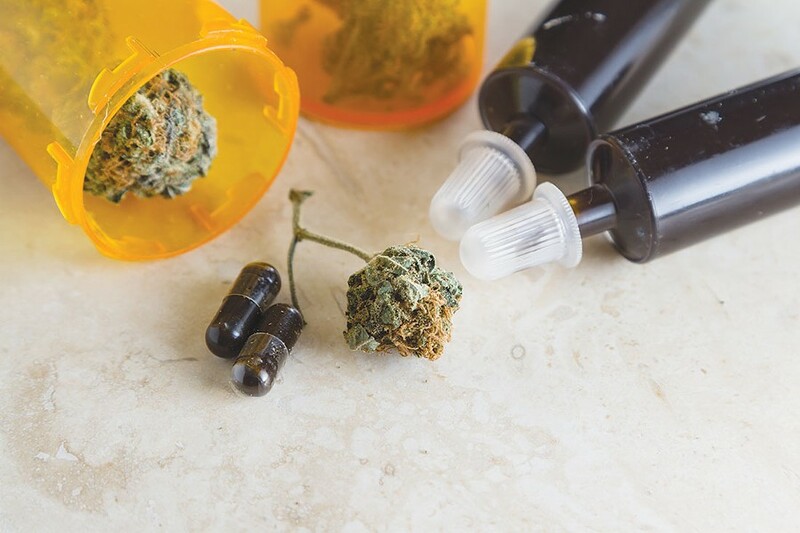 Paula and the doctor agree that the best medicine is whole-plant medicine that balances the compounds cannabidiol (CBD) and THC (the psychoactive compound in cannabis) and the terpene oils in the plant. "CBD is a great physical healer," Paula says, "but we are focused on cognition." By itself, she says, CDB-only products "did absolutely nothing" for her son.